Idalina is the perfect lace mermaid gown. 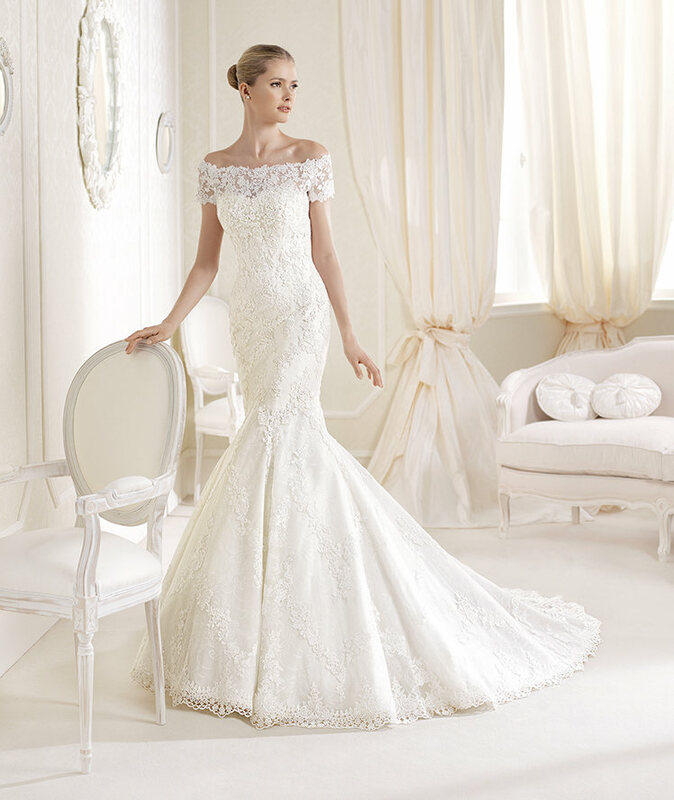 The intricate beaded lace is eye catching and beautiful and with its removable lace bolero the bride can benefit from two different styles from day to evening. Please note the lace bolero is removable.